This node simply takes an input set of data, and a Boolean switch. If the switch is true, the data is output. If the switch is false, the output is Empty List. This can be added to control the running of a script with master Boolean switches, or inline validation. In the case below, the List Length Validator confirms the input data has matching lengths, and the true output is used to control the flow in the Switch node. Overview: This workflow allows the user to source .OSM files from www.openstreetmap.org, form a polygon from the building points, extrude them and turn them into individual families within Revit. Packages: ‘Elk’, ‘Landform’ and ‘SpringNodes’. Revit Beyond BIM has posted the steps and packages necessary to perform analysis on some model lines in Revit that represent the evacuation path. Also, Dynamo is used to create an analysis display for the accumulated distance of travel. 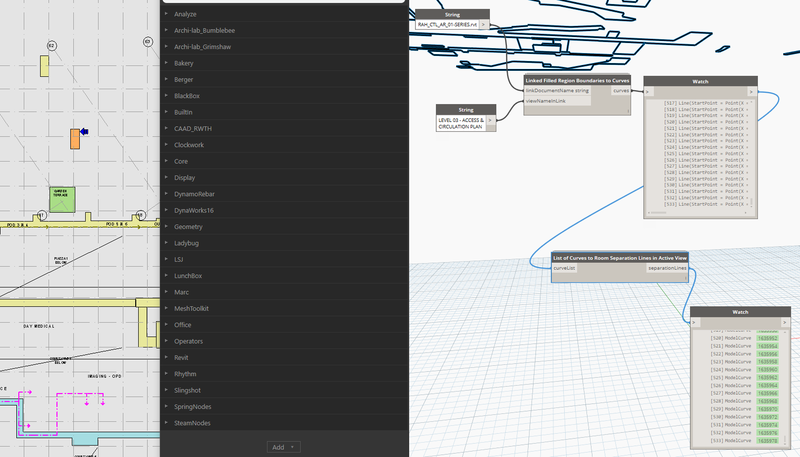 This takes a list of curve elements (from Dynamo) and creates Revit Room Separation lines in the active view. 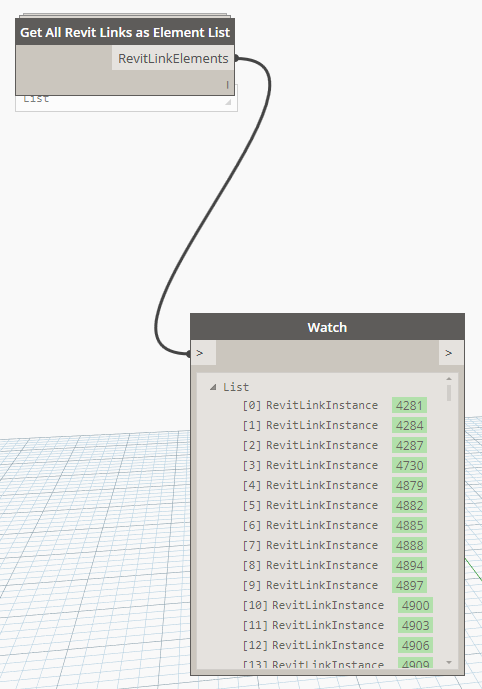 This node takes no inputs and simply returns a list of all Revit Link Instances placed in the current document. 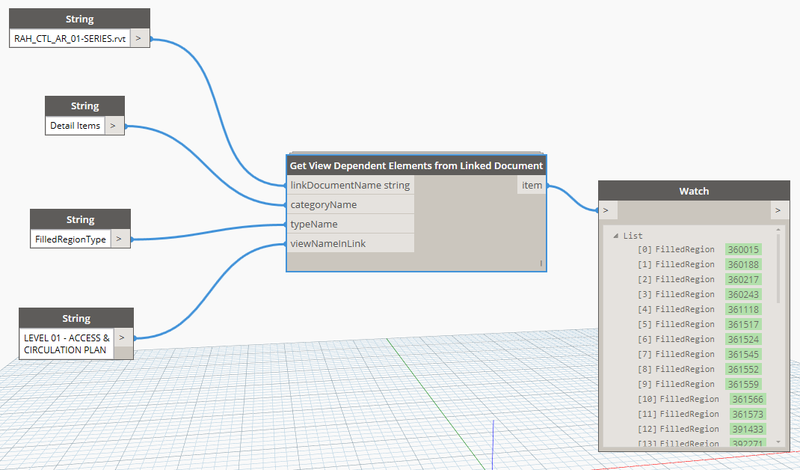 As these are truly ‘elements’, they can be queried and even deleted by other Dynamo nodes. Quick Summary: get all instances of a specific family type , get the Owner View, get a parameter from the Owner View, use that parameter to lookup another value in an Excel sheet, then drive an instance parameter back into the family instances based on the Excel lookup. This node will allow the user to pick model elements in desired order while isolating category.